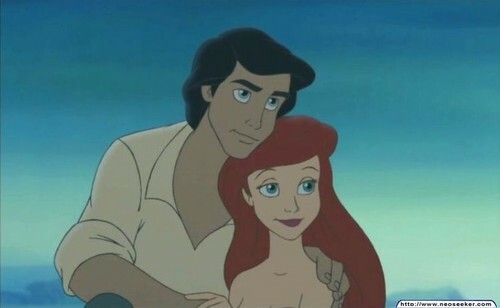 ariel and eric. . Wallpaper and background images in the Ariel and Eric club tagged: photo. This Ariel and Eric photo contains নকল মানুষের, কমিক বই, কমিকস, and কার্টুন. "My প্রণয় for আপনি is deep as the ocean"